"As we have laid out in our strategic plan, we will continue to make acquisitions that enhance our leadership in audio and infotainment technologies and 3dB Research does just that. Our long standing strategic partnership with 3dB Research and their leadership in vocal and instrumental effects research makes this acquisition a logical fit for HARMAN," stated Dinesh C. Paliwal, the company's Chairman, President and CEO. 3dB Research's patent pending musIQ® technology is capable of analyzing most complex waveforms in real time to detect & understand structure of music that allows for the development of innovative new products based on note detection, harmony generation, & pitch shifting. This technology is currently deployed in DigiTech's Vocalist® Live 3, Live5, and VL3D vocal harmony products as well as its innovative HarmonyMan and TimeBender guitar products. 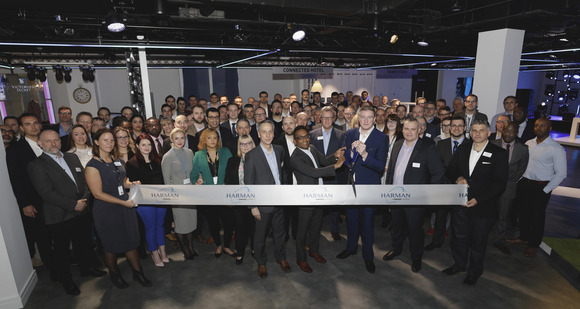 This acquisition further strengthens HARMAN's audio signal processing capabilities, specifically in the area of music processing & effects generation technologies. Commenting on the acquisition, 3dB Research Ltd. President, Peter Lupini stated, "The DigiTech and Vocalist brands have provided us with a great way to bring musIQ technology to musicians all over the world. We are excited about the opportunities that this acquisition will make possible with a host of new innovative products." HARMAN (www.harman.com) designs, manufactures and markets a wide range of audio and infotainment solutions for the automotive, consumer and professional markets -- supported by 15 leading brands including AKG®, Harman Kardon®, Infinity®, JBL®, Lexicon® and Mark Levinson®. The Company is admired by audiophiles across multiple generations and supports leading professional entertainers and the venues where they perform. More than 20 million automobiles on the road today are equipped with HARMAN audio and infotainment systems. HARMAN has a workforce of about 11,800 people across the Americas, Europe and Asia, and reported sales of $3.5 billion for the last twelve months ended December 31, 2010. The Company's shares are traded on the New York Stock Exchange under the symbol NYSE:HAR.